There’s only a few days to go until the Mobile World Congress 2014 and among a slew of devices aiming to take the trophy as the gadget of 2014 will be an unlikely Android contender; Nokia. It is now looking more than likely that in the coming days, Nokia will launch the X, or known internally as Normandy, to the market. This budget phone will be aimed at taking on the low-cost phone market currently dominated by the likes of Samsung, and is traditionally a market that the Finnish giant has been more than capable of taking on with products like its Asha range and lower cost Symbian powered phones which are still running in the wild. 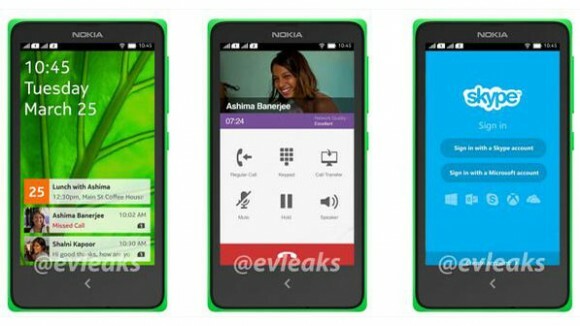 But what exactly does Nokia’s first and (probably) only Android phone mean, and just what will it be like? There’s been plenty of speculation, but we know that at the very least, it’s not going to compare to the Lumia line, largely considered to be some of the best designed smartphones on the market, just lacking the critical app ecosystem. We know for sure that that it will be running a forked version of Android, not unlike Amazon’s Fire tablets, giving it quite a lot of access to the Play Store and being able to support accessories and native services that many Android users have come to rely on from day-to-day. This goes some way to what many former Nokia enthusiasts had long sought, a decent smartphone from Finland which ran Android, helping to right a wrong from two years ago. We also know that it’s going to be nicely multi-coloured, thanks to Nokia’s quite cute marketing and heavy use of green throughout most of its promotional activities, especially the recent duck vine. Something like this would be fairly brilliant, many have tried pushing phones in multiple colours, but so far only Nokia have really hit the nail on the head from a design point of view. We also know that it’s going to be fairly low spec, not the worst phone on the market, but it should fall somewhere between Asha and Lumia – sporting a 5MP camera, MicroSD card slot, 4-Inch screen and potentially running Android 4.4 KitKat – if true it would already place it well ahead of quite a few Android phones on the market, some of which are still running Ice Cream Sandwich. It’s been considered very odd that Nokia should choose this moment to launch their Android handset, something fans have been long hoping for, ever since Nokia decided to partner with Microsoft. The phone answers a question Nokia faced when it faced its great OS decision, before making, what many (including myself) consider to be the wrong one. In many ways this looks to be Nokia’s farewell to the world of smartphones – ultimately becomes just another division of Microsoft.